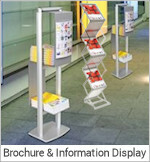 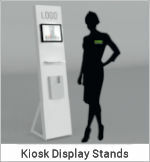 Nomadic Popup Display Stands - The Pop Up that defined "Portable Displays"
Invented by Ted Zeigler in 1975, Nomadic Instand® revolutionised exhibitions worldwide. 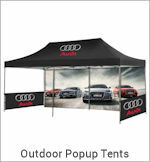 Zeigler, a graphic designer inspired by R. Buckminster Fuller’s creation of the geodesic dome, launched the first self-locking pop-up display – the Instand. 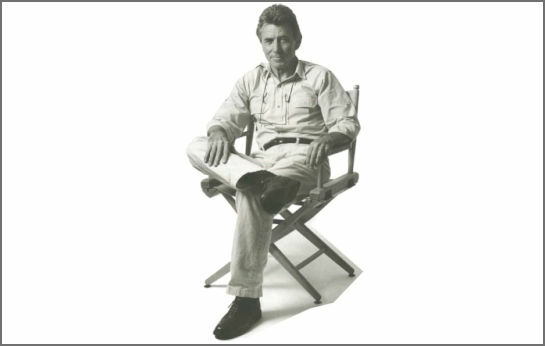 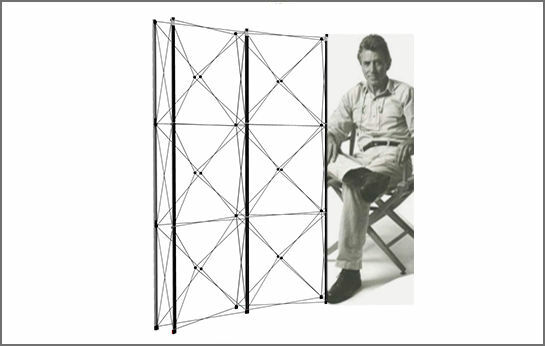 Zeigler established Nomadic Display® to manufacture and market his invention. 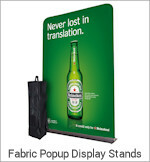 Nobody knows pop up displays like Nomadic. 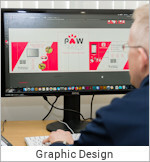 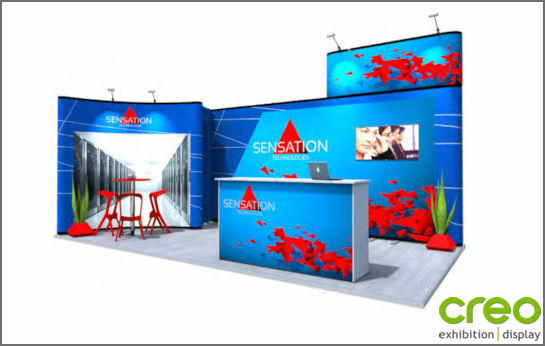 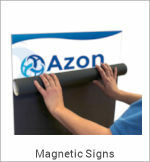 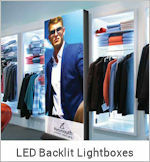 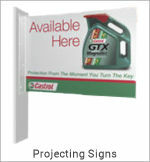 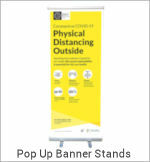 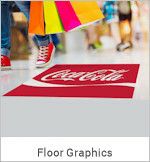 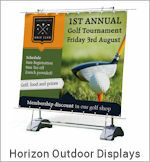 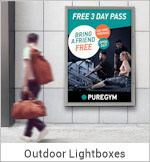 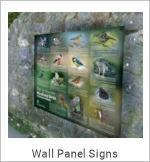 Instand Pop up displays deliver a high-impact graphic presentation that is compact, lightweight and easy to set up. 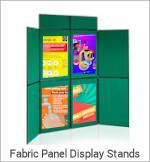 It’s easy to understand why Instand is still the world’s most popular pop up display. 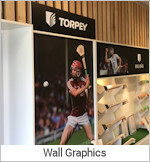 Nomadic Instand frames are 100% “Made in Ireland”, and we stand over the quality of our frames with our “No Questions Asked” Lifetime Warranty; providing coverage unmatched in the display industry, a testimony to the system’s quality and a unique selling point. 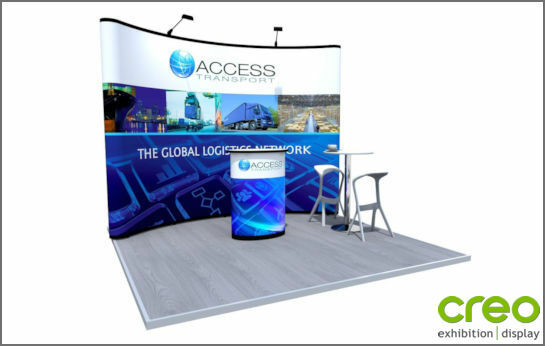 Nomadic Popup Stands are so well constructed Nomadic guarantee them with the industry's best “No Questions Asked” - Lifetime Warranty;. 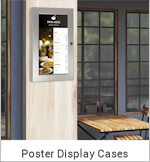 Nomadic will repair or replace any Pop Up frame and magnetic strut that fails to function for any reason - Free Of Charge - for a lifetime of ownership by the original retail purchaser. 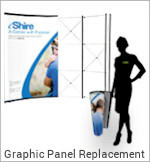 Smart looking Display Kits that are easy to travel with! 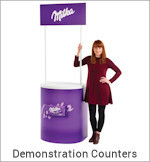 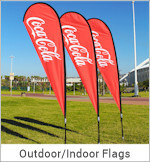 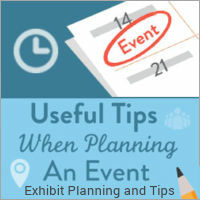 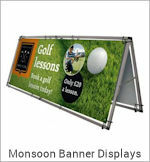 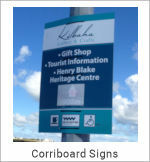 Nomadic don't just produce "run of the mill" Pop Up Display Stands. 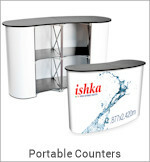 Nomadic produce stands in different shapes and sizes which can be connected in different configurations to suit different space requirements. 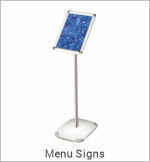 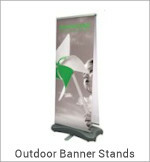 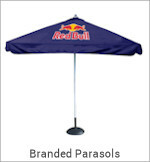 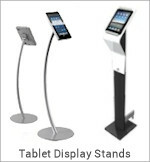 There is a range of accessories available for Nomadic Pop Up Stands. 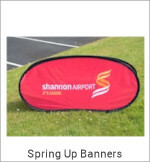 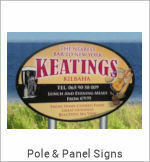 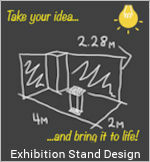 Take a look at our Popup Stand Add Ons section and see for yourself the possibilities with a Nomadic stand. 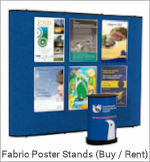 This versatility is what makes a Nomadic Stand the Best Value for Money! 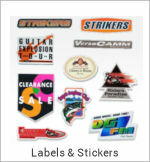 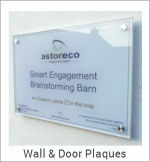 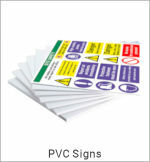 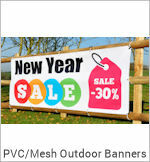 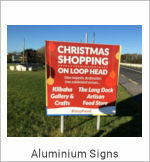 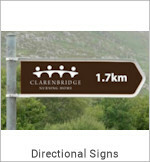 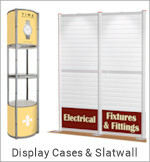 Call our Display Consultants on 1890 866 811 to help you find the best display product to suit your requirements. 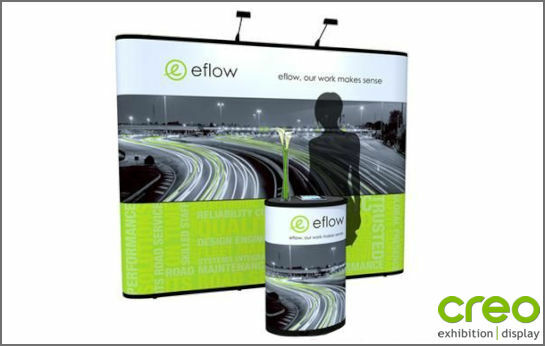 Where budgets are limited or for one off events, our flexible hire service means you can hire just the frames and purchase new graphics. 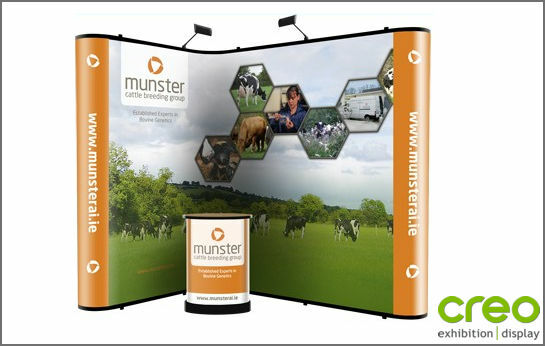 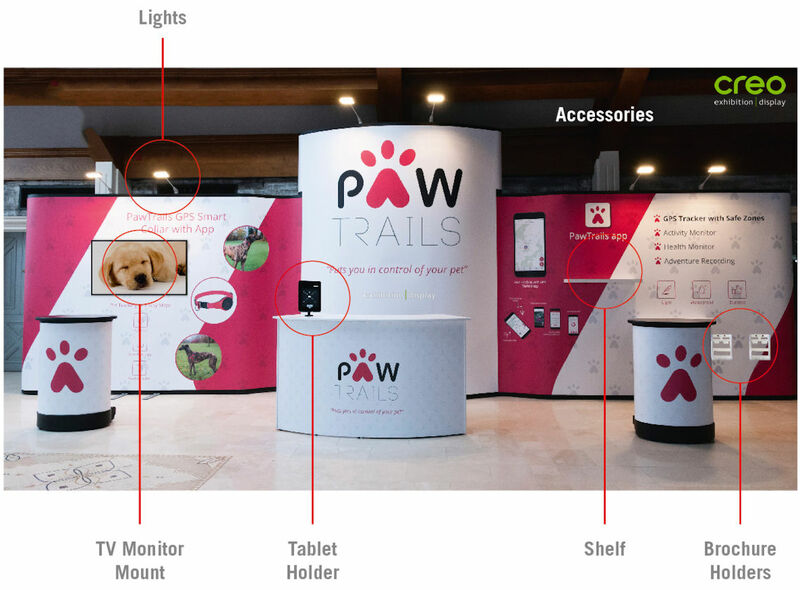 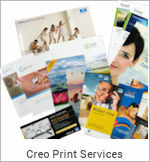 We can create complete exhibition stands using our range of pop up systems so if you have a specific requirement that is not shown then please contact our sales department at info@creo.ie who will be pleased to assist. 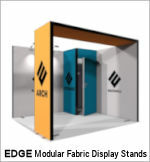 Call Creo today on 1890 866 811 and see for yourself the possibilities with a Nomadic Popup Display Stand and let us help you to "Stand out" from the crowd. 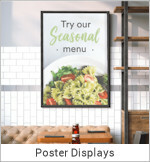 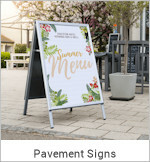 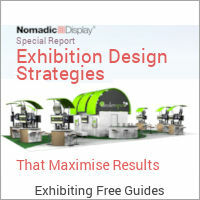 Nomadic Display offer a range of Pop Up Stand accessories to increase the functionality of your exhibition floor space and help your business create a bespoke exhibition display to showcase your products or services.